Robert Glenn Stoup, age 81, of Swanton, Ohio, passed away Friday morning, September 7, 2018 at Ebeid Hospice in Sylvania. He was born January 25, 1937 in Toledo, Ohio to Lucy Eloise (Smith) and Glenn Deleon Stoup. Bob graduated from Fulton Centralized School and on September 23, 1956 married his beloved wife, Arlene Cook. Bob worked for his father at Stoup and Smith Roofing for 28 years. After selling his portion of the business, he went to work for UPS, Meilink Safe and eventually retired from the Pilliod Cabinet Company. Bob, along with his wife, were members of the Ma and Pa Bowling League. He enjoyed family camping trips and gardening. Bob served 20 years as a 4-H advisor and also served as a board member at Ai Union and Fulton Union Church. Bob will be greatly missed by his loving wife of 62 years, Arlene; his daughter, Dawn (Kyle) Wilcoxon of Wauseon, OH; son, Brian (Kathy) Stoup of Delta, OH; 3 grandchildren, Derick Stoup, Nicholas and Taylor Wilcoxon; and 3 step-grandchildren, Marc, Bart and Bryce Yeager. 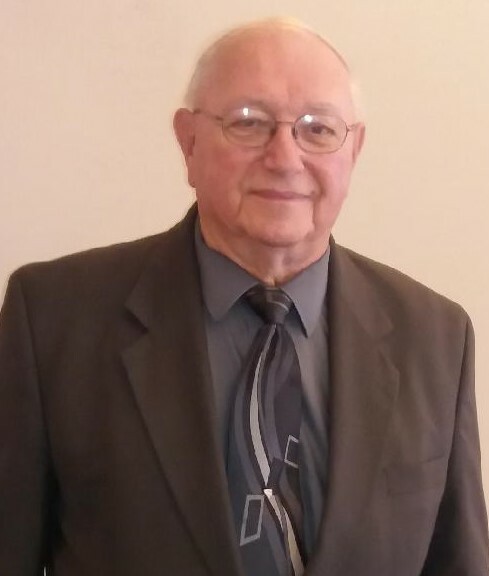 Bob was preceded in death by his parents, Lucy and Glenn and sister, Zita Pfitzer and brothers, Charles and Glenn Stoup, Jr.
Visitation will be held Monday, September 10th from 3 to 8 p.m. at the Weigel Funeral Home in Swanton (419.826.2631). Funeral services will be held Tuesday, September 11th at 11:00 a.m. at Fulton Union Christian Church with Pastor Tom Bates officiating. Interment will follow at Ai Union Cemetery. Memorial contributions may be made to Fulton Union Christian Church, 5232 County Road HJ, Delta, OH 43515.